If you're considering heading down the path to homeownership for the first time, be sure to take a look at our Roadmap to Closing. 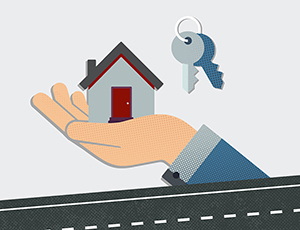 This guide will help take some of the guesswork out of your process and make your journey to homeownership a little easier. We Can Help! - It helps to have a team behind you when buying your first home. First-Time Homebuyer Loan - Our loan, featuring no PMI, waived fees and a special low rate, is perfect for first-time buyers! FAQs - You've got questions? We've got answers!